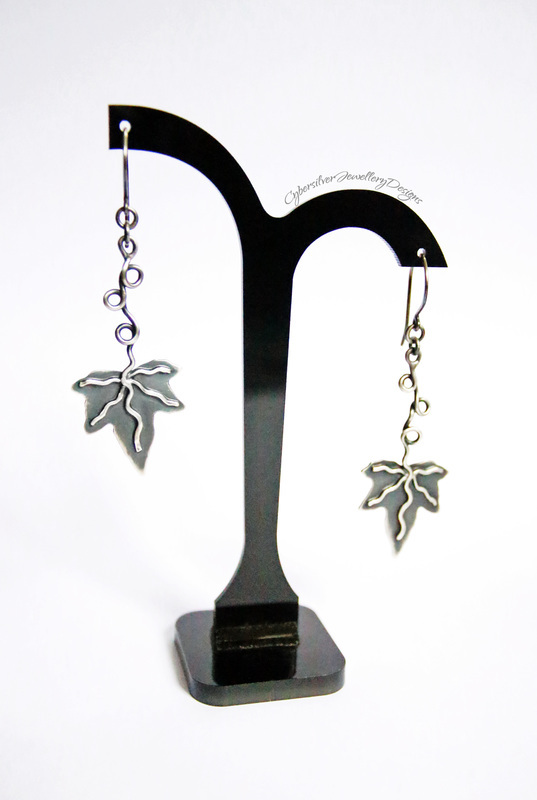 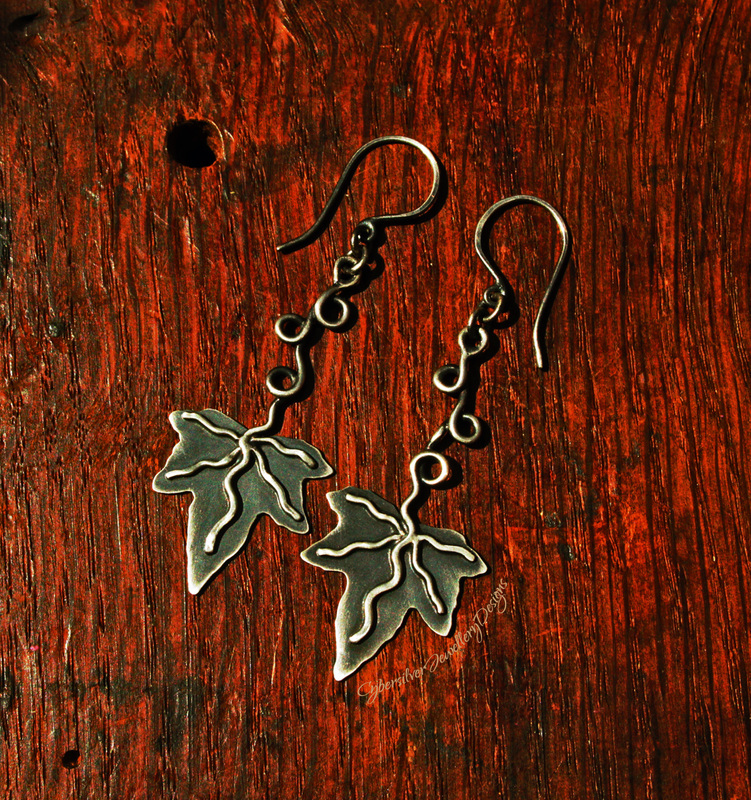 ﻿A gorgeous pair of sterling silver hand cut ivy leaves suspended from twisted vines. 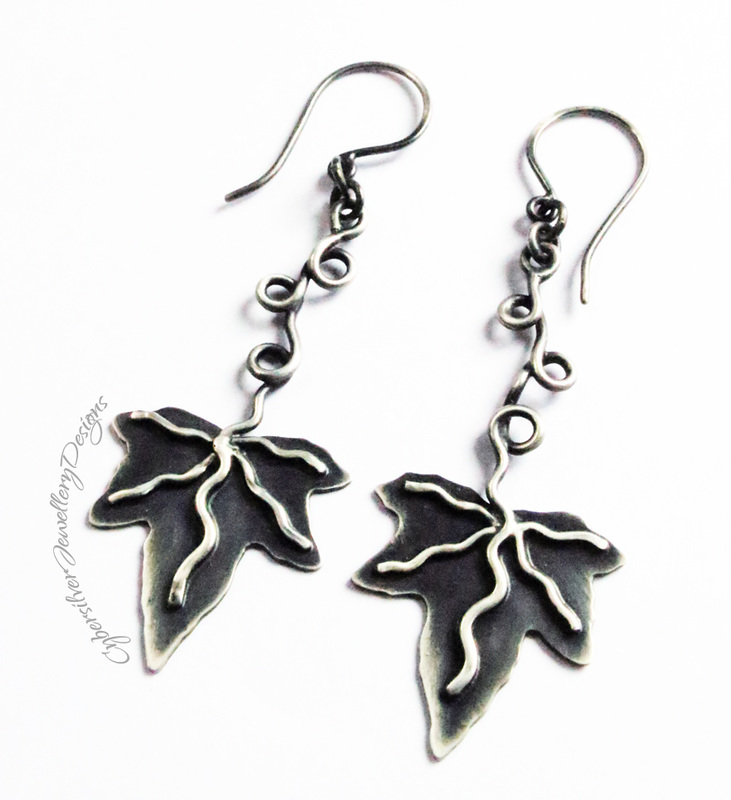 These are lovely and light - perfect to wear all day long. The earrings are entirely handmade and each loop in the vine has been soldered closed to maintain its twisting shape. 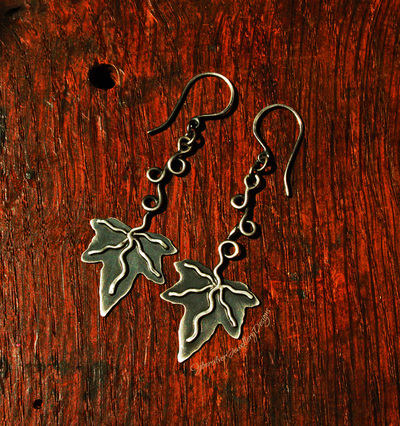 The silver has been oxidised and waxed with a special microcrystalline wax to help protect the oxidised surface.